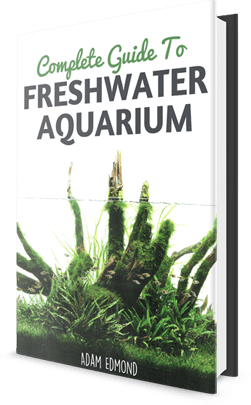 Planted tanks usually have shoaling fish that guide the viewer’s eye around the lush scenery meticulously crafted by the aquarist. These shoaling fish often have metallic tinges and bright red, blue, or yellow, streaks that really pop out against the greens of the leaves, the browns of the bog woods, and the dark/light substrate. As the viewer stares in awe of the scenery, an unsung hero zips around the tank, keeping nuisance algae from taking over – the American flagfish. The American flagfish is a Killifish that is well-known for being a voracious algae eater. This fish is basically an aquatic lawnmower on steroids, and will happily help rid you of any algal blooms in your tank. Apart from being a voracious algae eater, it also has a remarkable color pattern that features bright red stripes and a luminescent green that stretches across its entire body. Its iridescence reveals flashes of stars, reminiscent of the Star-Spangled Banner. The American flagfish is native to Florida, and can mostly be found in lakes, swamps, and other slow-moving or still bodies of water. It can adapt to a wide range of water conditions, and can therefore be mixed with different kinds of fish from the tropical side with mollies and platys, to the cooler side with white cloud mountain minnows. What Does an Ideal Home for an American Flagfish Look Like? So far we’ve talked about the ideal home that the American flagfish will like. Now we’ll talk about the best way to bring out its best colors and behavior. The best colors come from properly contrasting elements. Generally, dark substrates help bring out the colors of fish because they contrast with the brighter colors like red, blue, or yellow. Black substrates, however may not be the way to go for darker fish like black mollies. In this case, you may want to go with dark brown to still emphasize the brightness and iridescence of the American flagfish, without muting the colors of darker tank mates. A dark blue background will, apart from helping the colors stand out further, also help create the illusion of having more space behind the tank. Lastly, an aquarium LED light will greatly enhance the look of any planted tank by creating a “shimmer effect,” wherein the multiple rays of light from the LEDs dance with the movement of the water from the filters or aerators. American flagfish are relatively easy to keep and will survive even with the clumsiest beginners. A paired couple will live happily in a 10 gallon planted tank, but might be a bit too much for more placid fish. If you plan to keep other shier and more slow-moving fish, you’ll want to upgrade to at least a 20 gallon tank. If you can get a bigger tank, you’ll be able to keep them in a group of 6 or more, which can brighten up a community tank and help nuke the tank’s population of algae. For community tanks, the American flagfish has rather mixed results; they can get too energetic, to the point of nipping the fins of slower fish like guppies or betta fish. You’ll want to keep them with fish that can keep up with their speed – perhaps a school of danios or tetra will do. If you really wish to keep them with other more placid or slow-moving fish, then you can work out an aqua scape that breaks the line-of-sight of the flagfish so that the other fish can have time to rest and recharge. Speaking in terms of color alone, glowlight or neon tetra might be your best bet. If you prefer fish with excellent schooling behavior, then you can go with rummynose tetras, as they tend to stick together more often than most schooling fish. As a bonus, their redness can be used as a barometer for tank conditions; the redder they are, the better the tank condition is. The American flagfish does not need specialized equipment to thrive. In fact, it’s important to use a filter that produces a gentle stream rather than a turbulent rush, since it isn’t really used to swimming against fast-moving streams. Sponge filters work great since they allow more waste-consuming beneficial bacteria to settle, and they’re cheap and easy to clean as well. An added bonus here is that if you plan on breeding your flagfish, the sponge filter won’t pose any threat to the fry. 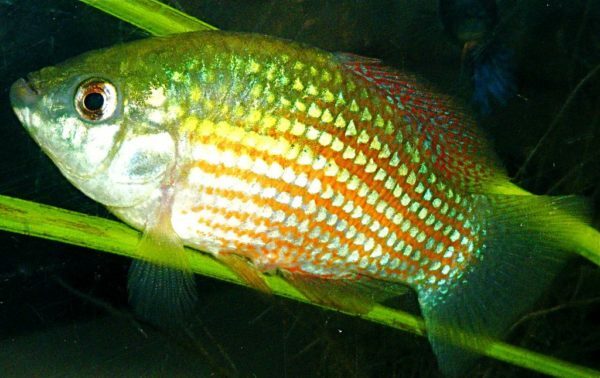 As for feeding, the American flagfish is a voracious eater, so it’ll actually eat almost anything it finds in your tank, from the nasty hair algae growing on your rocks and glass, to the insects unfortunate enough to fall, to wilting leaves soft enough for it to nibble on. They’re used to munching on a lot of algae, so if your tank isn’t too terribly overrun by algae, you may want to supplement with algae wafers. The American flagfish is a gem that not a lot of aquarists know about. For some, it might be a handful because of its quirky personality and insatiable appetite for greens, but if you’re looking to add a majestic splash of color in a tank that’s perhaps overgrown with algae, then the American flagfish might just be the next centerpiece you’re looking for.